My Mum bought me this book for Christmas – maybe she was trying to tell me something? If you haven’t come across the word Hygge before, then let me introduce you. It’s Danish and for those of you wanting to be particularly on trend you can learn how to pronounce it here: But Hue-gah or Hoo-gah get you most of the way there. Some refer to hygge as the “art of creating intimacy” (either with yourself, friends or your home). While there’s no one English word to describe hygge, several can be used interchangeably to describe the idea of hygge such as cosiness, happiness, contentness, security, comfort, reassurance and kinship. It envelopes all the senses and is especially a feeling – almost a six sense. If it interests you then I’ll let you read up on it through google or you can purchase the book here. Something to note – you can create hyggeligt moments no matter what the season or weather. It’s about investing some time in being present in a particular sort of way – yet it covers a wide range of options. A warm Summer’s evening barbecue with friends as the sun sets, and the smell of charcoal smoke or freshly cut grass waft your way, can be just as hyggeligt as sitting by a crackling log fire, cocoa in hand with a storm raging outside. The thing that struck me reading this book is how it ties into the work I’m doing with clients on their resilience that underpins their wider success and performance. I’ve written before about The Healthy Mind Platter and you can access the full paper here. Hygge appears to cover various types of brain activity at once i.e Down Time, Time In, Connecting Time and on occasions I’m sure, Focus Time. This is nothing new – but then little ever is. Factor Hygge into your home, workplace, friendships & daily routines to act as a means of decreasing your cortisol levels and increasing your oxytocin. (& to a possible degree your serotonin levels). If you’d like more info on that, give me a call and I’ll expand – or read the David Rock article above. Review and audit your day, week & month on a rolling basis to notice what is and isn’t present that is and isn’t helping you be at your best. 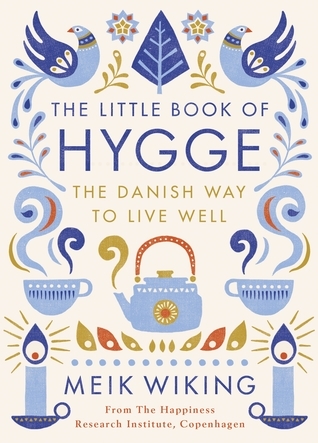 Have you got enough hygge in your life? Get some help. Agree with your friends, family, colleagues, and/or partner that you’ll need their support. It might be as simple as making sure that they have the kids looked after so you have time for a hot soak in the bath with some candles burning, music playing and a good read. Or it might be agreement with your boss that you need some more time to go for a walk and kick leaves while breathing fresh air which in turn sparks off new thinking and ideas… instead of pushing on at your desk like a hero. The opportunities are vast to create more hygge because it can take so many different forms and can be woven into daily life so easily. To keep ahead of the game you might like to know that Lagom – The Swedish secret to contentment is hot on the heels of hygge. More here. But for now, if you like the sound of hygge, and see that more of it in your life would benefit you and those you’re wanting to get the best from, then get in touch and I’ll give you some more steers. Got me thinking, as you always do Luke! My partner’s 20 year old got this for Christmas and at the time I thought “why on earth does she need this?” – your perspective has me thinking it might just be the best present she had and maybe I should explore it with her as she starts to think about her career after graduation later this year…. That’s great to hear Di. What did she make of it, did she pass much comment on the book itself? Millennials do tend to give more consideration to their well being it seems (as a sweeping generalisation granted) with less of the “push on, I must cope & manage” mindset. And yet they’re being dropped into organisations after graduation that still have different expectations – and I suspect that’s what you mean by exploring with her as she starts her career? That she ought to put some time and thought into her resilience routines? I remember my first full time job – what a shock to the system that was – I was permanently exhausted… and that was with a fantastically progressive and supportive company! 20 years on, I’m still attempting to get the routines right as they need to evolve and adapt – failing regularly.